It’s been over six years since Harry Redknapp took his daring Tottenham side to the Bernabeu, for just about the toughest examination of his long managerial career. Real Madrid were stuck on just nine European Cups at the time— their last coming in 2002—but remained true leviathans of the sport and were coached by one of the modern game’s greatest tactical minds: José Mourinho. Despite the enormity of the task, there was a certain amount of guarded optimism circling the underdogs’ camp. Redknapp himself talked about his ‘Champions League dream’ and plenty of experts were giving Spurs more than half a chance. After a Gareth Bale-inspired blitz of Internazionale in the group stage and, in the last 32, a narrow victory over Inter’s city rivals across two legs, another upset against European royalty didn’t seem beyond the North Londoners. Perhaps it was feasible; perhaps Redknapp’s lasses-faire, cavalier brand of attacking football could’ve caught Mourinho off guard. 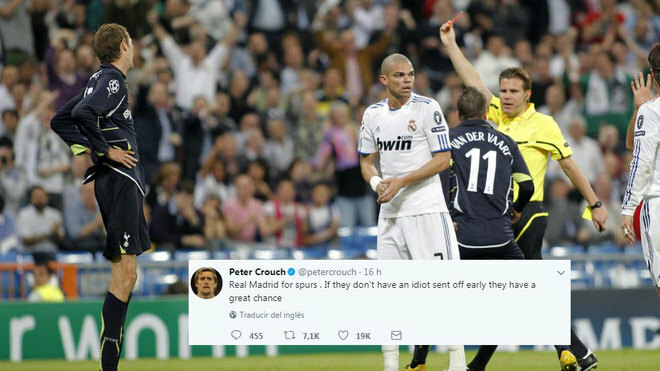 Sadly, any possibility of a shock result was ruined by Peter Crouch’s daft second yellow card after 15 minutes, for a wild lunge on Marcelo. When you’re of Crouch’s dimensions, those kind of misdemeanors are difficult to hide at the best of times and German ref Felix Brych had seen all he needed. Ten man Tottenhan quickly folded and Real Madrid motored to a 4-0 victory, with two goals from future Spurs Hall of Famer, Emmanuel Adebayor. Game over. It’s difficult to imagine that Redknapp would’ve had enough tactical intelligence to outfox Mourinho over two legs. While the red card was certainly a gut punch, none of Carlo Ancelotti, Pep Guardiola or Louis van Gaal could stop the Portuguese coach in the previous season, as José went on to win his second European Cup. What were the odds on Redknapp doing so? More importantly for Tottenham fans, what chance does Mauricio Pochettino and his modern Spurs have tonight against Zinedine Zidane’s Madrid? Does the Argentine coach have a plan to foil the continent’s finest collection of players? Something more refined than Redknapp’s 2011 method of assuring his team that ‘on our day we can beat them,’ without any further explanation? Well, there was a rumour that Sergio Ramos would miss the tie, having reportedly been struck by a nasty sounding vomiting bug. Raphaël Varane is a fine young defender but doesn’t look quite as assured without the World Cup/Everything winning captain at his side, so that would’ve been a hugely welcome absence. But he’s made a quick recovery by all acounts. The main concern is that Harry Kane and the gang won’t get anywhere close to Real Madrid’s penalty area to cause them trouble. It’s quite possible that Luka Modrić, Toni Kroos and Isco will decide that they don’t fancy giving up possession much and we’ll be left chasing split-second holograms of the ball; illusory imprints of where it used to be. Like trying to catch the trail of a lit sparkler. Whatever time Pochettino’s men are afforded on the front foot, then, it’s imperative they make the most of it. Whether that’s in the form of a set-piece or a squirmed half-chance for Kane from a tight angle. These moments will be key. Predictions? A draw would be a miracle.